One of the best perks of being a camper and having an RV nowadays is the comfort of being able to use your appliances and other types of devices with the help of your trailers electrical system. Getting yourself familiar with the basics of this system helps a lot for regular tune-ups or if you might need some quick fixes on the road and no one is available to help. Here are the basic parts of your Electrical System. This is the part that you use to recharge and transfer power in and out of your trailer. 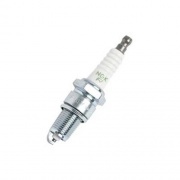 It comes with two types of plug the 30 amp plug which has three prongs and usually have shorter cords and a 50 amp plug with four prongs and a longer cord. You might notice sometimes that some RV parks do not have 50 amp plug with them so it will be handy if you have a 50 to 30 amp power cord adapter with you which is available from JR Products, Voltec and other brands. 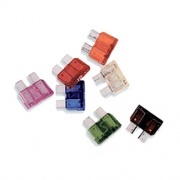 These include your light and appliances switches, charger outlets, cables and receptacles where your appliance and other devices are connected to access electricity. Make sure that these things are tightly attached from where it should be and no wire or screws are exposed or loose or there are no cracks or damage that might cause issues not just to your RV but most importantly to your safety. You can also use different tools to easily save electricity such as toggle switches from Wirthco and illuminated lamp from Diamond Group. These products provide protection and avoid damage for your electrical system. You can find items such as surge guards light, voltage regulators, voltage defender, remote display, power monitors and other safety hardware from Technology Research, Progressive Ind and more. RV power center helps distribute electricity to you trailer and converts electricity to different amps or voltage for efficient electric energy consumption. Before doing anything else on it, always turn your electric power off first. You would know if there is something wrong with your power center if there are fuses and wires that are broken, burned or overheated. 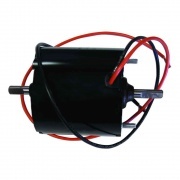 These are the sources of your RV power. They keep your trailer running during your trips or when there are outages. Most RV batteries usually comes in 12-volt but you can use converters to change the current up to 120-volt for your other appliances .There are also many accessories you can find to help keep the life of your batteries and generators longer such as cleaners, protectors, safety boxes and more. Many environment friendly RV trailers now use Solar Panels to convert solar power to electric energy. Your electrical system also includes your lightings, transfer switches and other types of lights used inside the recreational vehicle. Though it is tempting to do things your way sometimes, there are also things that you have to consult with professionals. If you notice that your fuse, wire and other parts of your electrical system and wirings are compromised, always think about safety first and have it fixed as soon as possible. Tired of enduring the sweltering heat all summer and then freezing as soon as the temperature begins to drop? Our heating and cooling options will have you enjoying your RV any season after you check out our air conditioners, vents, screens, furnaces, fireplaces, accessories and all the parts you'll need to keep your system running for years to come. RVs, for the most part, are all-around vehicles. They are within our command whether we want them hot or cold inside, and not just the appliances and all the other things inside. Using the climate control inside the RV is simple enough, but you need to know some specifics to make it work. You need to know the difference when to run the propane furnace versus the heat pump. Some of the things that can help keep things cool fast on hot days inside your RV are simple actions before you can crank up you air conditioning units to help cool the place. This would include closing all the vents in the bedroom, opening the vents on the front A/C along with the three vents in the living area, and shutting the door to the back area of the RV. With the rear vents closed, most of the cold air will be forced into the larger part of the coach and help it cool down quickly enough. If needed, close all the shades especially if the sun is coming in the driver’s area. The heat in summer is one large beast. Some HVAC may not strong enough top cool the entire RV. During extreme heat, it may be necessary to run the generator to power up the living room A/C so the RV gets cooled. Some RVers declare that running the generator to powe3r the roof A/C is more fuel efficient than running the cab A/CV. Sometimes, however, you need to run both A/C units coming from the windshield. For RVs running on diesel engines, you can close the bedroom door closed and all the rear AC/C vents for the simple fact that the rear engine diesel leaks a lot of heat into the back of the vehicle. One long shot is finding a tree. If there is one near the road, rest up a while near that tree (till things cool down). Have the tree block the windshield or the driver’s side of the RV while putting up your awning to have as much shade around your vehicle as possible. If you plan to do RVing in freezing temperatures, make sure you have a full tank of propane. The heat pump is build into the AC and can work great if used correctly. However, the heat pump will not work when temperatures fall below 45 degrees. Don’t try to run the heat pump when plugged into a 20-ampere outlet. It can only work properly if you plug it into a 30 or 50-ampere plug. Cranking the thermostat way up when using the heat pump will trigger the propane furnace to kick in. Many thermostats are set up so that both the furnace and the heat pump kick on when selecting a temperature more than 5 degrees higher than the current one. Try heating the RV with the heat pump setting the temperature at 4 degrees increments to keep the propane furnace from kicking in. Heating and cooling your RV in extreme weather can be challenging. When it comes to your RV's roof, it's important to make sure that you're using all the right components, which are all right here. We have sealants, lap sealants, repair kits, rubber roofs, rubber roof activators, adhesives, roof cleaners, roof coatings, roof primers, protectants, roof rollers, roof tapes and roof TPO membranes. Increase the light and make the interior of your motohome or travel trailer more spacious or replace your existing skylight dome to prevent expensive leaks, mold and damage to your RV's roof and interior. We have all of the popular sizes in square, rectangular and neo-angle skylights to fit your RV in various colors and heights. To most enthusiasts, an RV (recreational vehicle) is fondly regarded as a home on wheels. Like a home (only that it moves around), it comes complete with familiar features like doors, windows, steps, cabinets, skylight awnings and an air conditioner. Like fixtures in your home, these could also become worn and broken, especially those hardware and equipments used in moving around. Since the equipments (and practically all of the hardware) for RVs are specially designed, these many gears are all unique to RVs and not just found in any vehicle. You can forget dropping by at some hardware depots and look for hardware replacements for your RV. 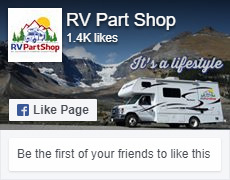 To ensure you get everything you need in hardware, the RV Part Shop is the one shop that has it all regarding RVs and trailers. With strategically located RV Part warehouses across the country, you can have your parts whenever you need them. With the use of the latest shipping and parcel technology, they can ship to your home, business or at your campground or site where you are currently enjoying your outdoor adventure. As it is, maintenance is the most important action in keeping your RV in great shape. It is the difference of being on the road enjoying your journey or simply thinking about it wherever you are. Like motor cars, RVs also need their oil and filters changed at regular periods. This is necessary in order to keep your engine running properly. Left undone, it can eventually cause your engine to cease. The huge cost is around $10,000. Your RV also needs replacements of the oil, fuel, coolant and hydraulic filters regularly. Damage caused by the non-replacement of these parts could result in increased fuel use, overheating issues with the cooling system, and oxidation in the hydraulic system. Damage can mount from $2,500 and up are the results from this neglect in the necessities. In other areas, do a thorough check on the roof seals and seams of your RV at least every 6 months. Servicing your RV generator is very important. 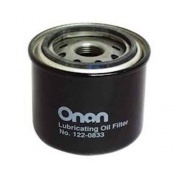 Check the manufacturer’s recommendations on how often its oil and filter should be changed. Neglecting this responsibility can cost you as much as $9,000 in repairs alone, not to mention parts that have to be changed, if ever. You need to run your generator regularly when your RV is stored and not in use. This includes checking all the sensors regularly to ensure there is power or that the batteries are holding a charge. 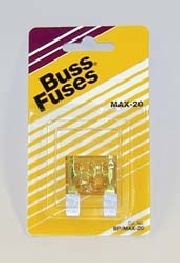 Without this, the build up on your carburetor can set you back up to $400 to remove them. Your roof is also an important hardware that also needs to be checked. In a way, maintenance is simply having your RV ready at any time you want. Find the cleaning products and tools here that you need to keep your RV, motorhome or travel trailer looking and smelling great. Remember that a wll-maintained RV retains its resale value, so look for cleaners, polishes, and waxes as well as brushes, mops, poles and squeegees. From a practical point of view your RV is your home away from home. Consequently, while you stay inside your mobile home, you need to clean it up like you do at home. Like what happens at home, you do need to have your cleaning supplies at hand, although not necessarily like those you keep at home. Since your RV has lesser space than even a studio, it should be important that you keep it neat, clean, and organized. This will discourage all pests and insects to make it their home, too. Keeping your RV sparkling, however, needs a little more effort than buying Windex or Clorox wipes. The following are some random ideas on keeping up with your cleaning regimen. A multi-purpose cleaner is best when attacking the dirt and grime inside your small home. A good commercial cleaning product that is light on chemicals and heavy on natural ingredients will do the trick. An air freshener does away the usual smell of RVs. There are commercial odor eliminators in the market and bringing them with you is cool, even if your stay is short. A good breeze is also good, if the weather’s fine. Simply open your windows and doors and let nature do its magic. Microfiber cloths are best for the little messes we make all around, especially at the table or in the kitchen, or wherever else. They clean up spills quickly and efficiently. They also hold up well wash after wash. Using the limited space inside your RV can help a partial solution from plastic containers, either large or small. They keep things organized in one place, and are quickly identifiable because of their contents. Buying hanging organizers for the RV can be of great help. You will have a neat place for anything and almost everything that needs to be organized. You will have a place to keep organized more things including shoes and getting off the floor. Another thing to invest in is command hooks. 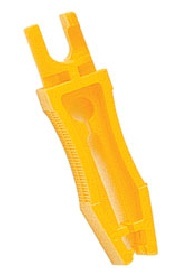 They are also a great help in more organization and storage difficulties inside your RV. The best part is that they are easy to install and just as easy to get rid of after a job had been finished. Disposable gloves are the best things to invest in times of extreme emergencies like taking care of your RV holding tanks. (You never know when the time comes for your holding tanks to get problematic.) Even with proper care and maintenance, you would want to have a nice pair of disposable gloves around. More for maintenance problems than anything else, a small toolkit is also good to lug around with your RV on the road. Just like your cleaning supplies, you would not know when you need to use the tools to keep things working. Someone loves to go on adventure on the road or mountains will spend the major time within your RV and acts as your send home away from home and a place where perform the primary activities like bathing, cooking and cleaning which can accumulate of water vapors being undertaken in a small restricted atmosphere that generates a lot of discomfort and affect all the furnish within the RV. Allergies can be one of the main reason when having excess humidity lead to difficulty in breathing which is such a bad experience and RV dehumidifier can avoid it and an essential choice and more comfortable when having a runaway vacation on the road. One of the best dehumidifier is homelabs 400 to prevent the presence of excess moisture in the air with complete touch panel controller function making the greatest performer in the industry. Mold can be a big problem in the fall and wintertime because moisture from rain and snow in the air can give a toxic fungus in a nice damp environment and finding a growing anywhere from cabinets and drawers in the walls and ceiling in RV, cleaning mold right away can save your RV from expensive damage. Some types like black mold are also dangerous because of spore-borne toxic secondary metabolite produced by organisms of the fungus and using a strong chemical is the best solution remedies that will help get rid of any unwanted fungus on RV. The camco 41024 pro-strength awning cleaner is safe that removes stains and dirt that cleans effectively and this RV product brand is greatly use in many materials. If you trying to keep the rats and mice out of the RV or trying to get rid of them once they have invaded it’s pretty much the same process in keeping them out because these rats and mice are intelligent critters not easily fooled which is why it is so hard to get rid of them once they have invaded. One of the best to use is DX610 electronic pest repeller product in RV because when store it the rodent repeller uses high frequency sound output to keep the mice and rats away and sound creates a constant uncomfortable environment and works on the rodents’ nervous system. 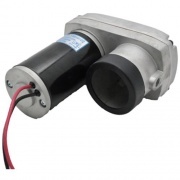 This mouse and rat repeller are effective with auto-changing sound levels and patterns that prevent the rats and mice from nesting which is what they do when RV is stored and best way to keep mice and rats out of the RV. People spend a lot of time of the road on RV on road trips and odor can be an issue making trips with kids are laughing and embracing which is going to spend much time in the RV that wanting it to be a clean pleasant place to be. But with every drink spills and meals on the go and keeping the traffic life odor free can be difficult. Living on the road for a long distance tour in the RV and the problem becomes even more challenging and the first impression matters even more but using the innofresh auto odor absorbers are natural activated charcoal miracle workers will keep the RV fresh and odor free without resorting to weird fragrances hanging thing inside the RV making the journey long an easier and enjoyable trip. Slideout won't slide? 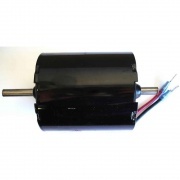 Check here for replacement motors,gears and other parts that can help you regain access to all that extra space that a slideout room provides. 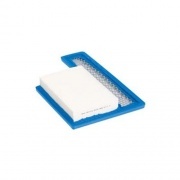 Don't let yourself get stuck using the wrong adhesives. When you need something to stay exactly where you want it, it's time check out our high quality adhesives such as Sikaflex, Cold Weld Bond, Blue Thread Locker, contact cement, high temperature thread sealant, blue silicone, weather strip adhesive, general purpose epoxy, spray adhesive, high temperature spray adhesive and Sticky Stuff. When something breaks on your RV, it's not always necessary to head to a shop, a lot of repairs are easy enough to do in your driveway. The repair kits in this section cover two of the most common issues which would be leaking fuel tanks, and fabric rips, both which can be tackled by even those not so mechanically inclined. Enjoy all the sights on your adventure through the window options we have here for your RV. Cover it up, fix it up or dress it up with our selection of products sure to have you seeing clearly. Here you'll find window covers, window insulation, windshield curtains and shade repair kits. Keep a clear view of the road in even the worst of weather with any of our wiper blades designed for your truck or RV. We carry sizes including 20", 22", 24", 26", 28", 32", and even the massive heavy duty 39" wiper blades for the most serious applications. Keep your engine running smoothly and efficiently. Change your filters when required. RV Part Shop carries air, fuel and water filters from quality manufacturers to fit most common motorhome and truck engines. Browse our selection of funnels and fuel filters for use with your motorhome, generator or other gas or diesel-powered appliance in your RV. Whether you want to monitor your engine and vehicle performance, or tweak engine settings for better performance or fuel economy, we have the engine computers to do the job. Here's our selection of Fuel and Oil treatments to keep your engine running well for years to come. As a camper and an RV owner, you know that keeping your vehicle in good shape is very important. Making sure that all the parts of your RV, down to the smallest pieces are working properly, will keep you from worrying about having major issues in the future. There are also days when you feel like doing something new and you just want to upgrade that part of your RV that needs a makeover. But with so many parts and pieces, it is sometimes hard to find the right RV accessory or look for that piece you really need. How often do you have to regularly check your RV? You need to take note that each part of your Recreational Vehicle needs to be maintained but not all of them requires checking all at the same time. There are parts that need to be checked weekly, monthly, quarterly, based on mileage and some of them just needs an annual tune-up. These schedules are often included in the owner’s manual and vary depending on the type of trailer you have. Keeping a log book of your maintenance activities is also a good habit. It will help you track your schedule and the parts of your vehicle that possibly needs repair or replacement. It can also be a good guide or proof for insurance claims or if you decide to sell your RV in the future. There are so many items and parts you have to check in keeping your RV in good shape. Whether you have a motorhome, a truck folding trailer, fifth wheels, a truck camper or a travel trailer, always check your manuals for the correct maintenance schedule and proper care reminders. One of the must have item that you will need regularly are cleaning supplies to keep pest, mold and odor away. There are so many brands to choose from such as Accumetric, Bio-Kleen, Valtera, Protect All, Thetford and many more. Just like your car, your RV also need its fuel, oil, filters, coolant, air and water system cleaned, placed and drained if needed to avoid major failures most especially during your trips. Monitoring your engine regularly with the use of engine computer from Diable or Linear Logic and using reliable engine treatment products such as from CRC Marykate, Valvoline or Star Brite will help you get the job done. Always keep your RV repair kits handy and stuff them with fasteners, glue and adhesives, lubricants, and other basic tools and hardware with you for parts that need quick fixes. Check the windows, doors, slide out parts, wiper blades and other moving parts of your RV including the roof’s seals and seams. You can get quality parts, accessories and other items for this from manufactures like AP products, Hardware Express and others. Your batteries, breaks and generator should also be checked constantly especially during the winter. Tire pressure and wheel lug nuts as well as the electrical connection of your tow vehicle to your RV are also very important so do not forget check and test them before you drive.